I swear Pinterest is one of the best things that ever happened! It’s the perfect site to experience and learn about pretty much everything: food, travel, baking, fashion… you name it, they’ve got it! My bestie recently pinned this great recipe for Hamburger Stroganoff by Elise at Simply Recipes and we’ve been meaning to try it out ever since! So we had a girlie date, cooking and watching the dashing Colin Firth in Kingsman: The Secret Service! Absolutely enjoyable movie and well.. men in well-tailored suits, and a creamy, cheesy pasta! What more could a girl want! I didn’t have any ground beef on hand, so substituted with diced chicken. The original recipe called for sherry or white wine, but I used water instead. Cook the pasta al dente. I used the San Remo brand. In a pan, heat about a tablespoon of butter and add in the chicken. Add about a tablespoon (or more if you prefer) of dried herbs and cook the chicken through. 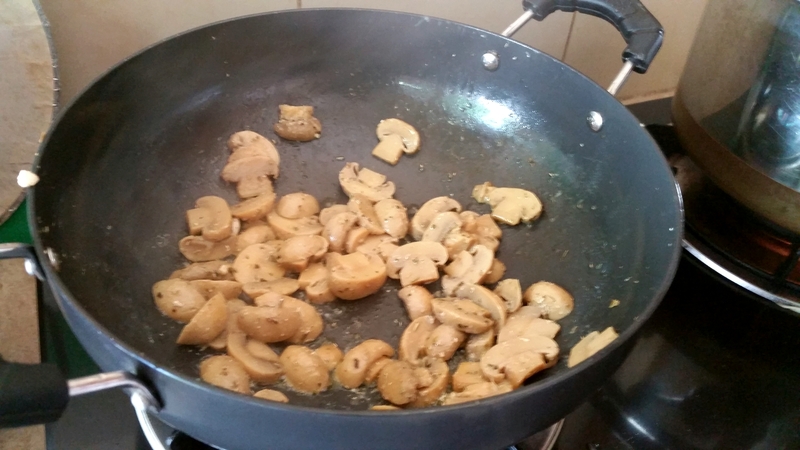 Remove chicken from the pan, and add the sliced mushrooms and onions into the remaining fat. Saute until well browned and add in the water. Be sure to scrape off all the bits at the bottom of the pan. Remove off the heat and add in the cream and a hint of paprika. 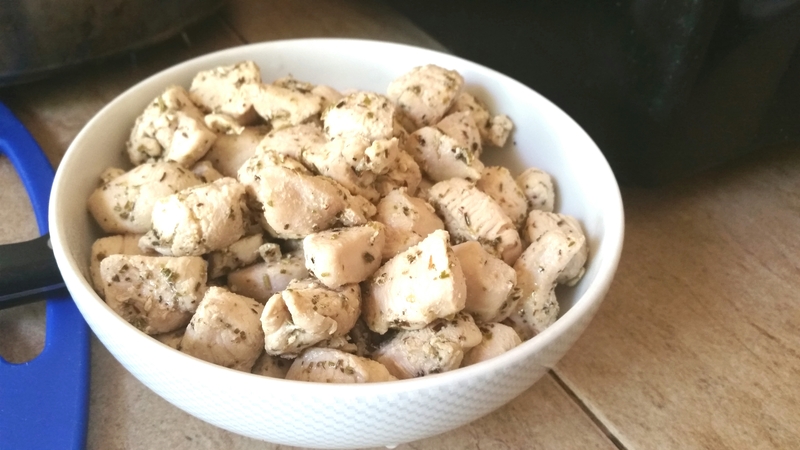 On a low heat, combine the mixture well, add in the cream cheese and chicken and mix well. Take off the heat. 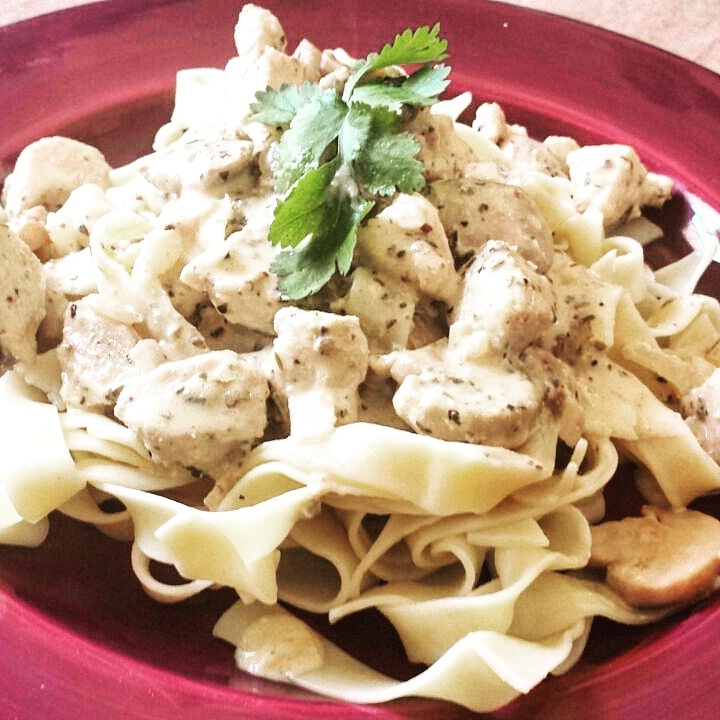 Serve the stroganoff over the pasta and garnish with some grated mozarella and some fresh coriander.